The weekend has finally arrived when we host the wonderful Watoto Children's Choir. Don't forget you can see them in concert for free 7pm at The Winding Wheel on either Saturday 26th or Sunday 27th April. The choir will also be singing from around 1.30pm for 20mins in Vicar Lane Shopping Centre on Saturday and leading us in worship in our Sunday morning meeting at 10.30am at the Winding Wheel. 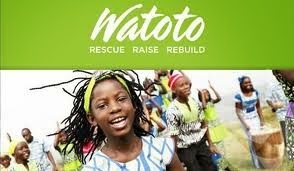 Come along and enjoy the Watoto Choir. MAY THE 4TH BE WITH US ALL AT CHESTERFIELD HOTEL!